“We will continue to explore lifestyle programming around video games, and we’re also taking a strong look at tournament gaming,” Poplock said. “We explore opportunities on a day-to-day basis with our partners at EA, and we think these brands coming together is pretty compelling, especially for sports fans.” The “Nation” line of lifestyle shows could expand to incorporate other sports and creative projects. 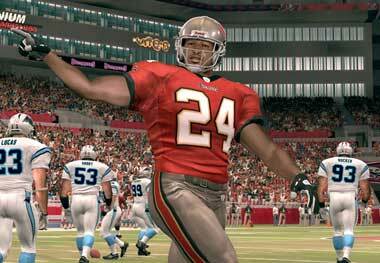 To introduce new gamers to the show this year, EA is releasing “Madden NFL 07 Hall of Fame Edition” on August 22 for Xbox 360 and PlayStation 2. The special version of the game will include a bonus DVD with additional content, including the entire first season of “Madden Nation,” as well as an inside look at EA’s Tiburon Studio (where “Madden” is made) hosted by ESPN anchor Trey Wingo. For months, a company called Electric Sheep has been undertaking large projects inside “Second Life” for corporate clients and many others. Past corporate visitors to the virtual world have included Coca-Cola and Wells Fargo. 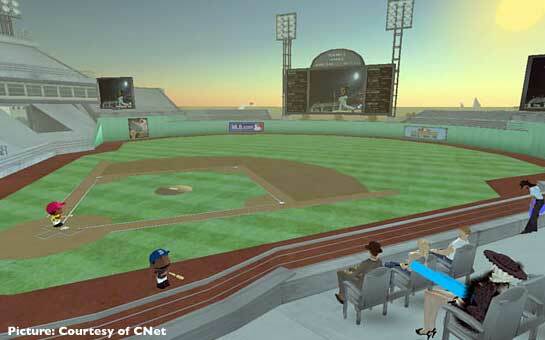 But the simulcast of the home run derby, in which participants gathered in a brand-new digital baseball stadium and watched a (nearly) live feed of the competition on a series of video screens, was one of the most high-profile projects to surface publicly. I wonder where this is heading. Will services like second life and halo become the new theatre? Within a year there is the potential to have viewers animating their avatars (avies) in real time, scripted and recorded from a range of camera angles – the worlds first virtual soap, but with superman potential. Machinima is the cross between machine and cinema, but by definition recorded then fine edited. The puppeteers of the virtual ‘real time’ space, become actors, already rehearsed and giving live performances, streamed over broadband to PC, Mobile and TV screens. What would we call this new form? Machinitv? But this would be more like virtual theatre surely. The 21st century puppet show in close to photorealism quality. Virtual Theatre, Virtuatre, Theatual. OK, won’t start word-smithing now but there is an exciting road ahead as merged-media becomes all virtual and self contained, mixed reality extravaganza. Following this we get ready for the next stage where emotional, artificial intelligence and self constructing narrative based on a million digested scripts, removes the need for the human puppeteer, but that is another post.